I made these Honey Chilli potatoes today and they sure were a special treat. Toasted sesame seeds made it even more tasty. The fries tasted good as is even before they were cooked in the sauce. 1. 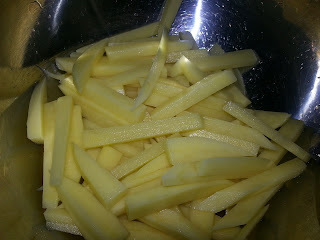 Peel the potato and cut it into strips like french fries. Wash and drain water completely. 2. Mince the garlic and divide it inri rwi equal portions. 3. 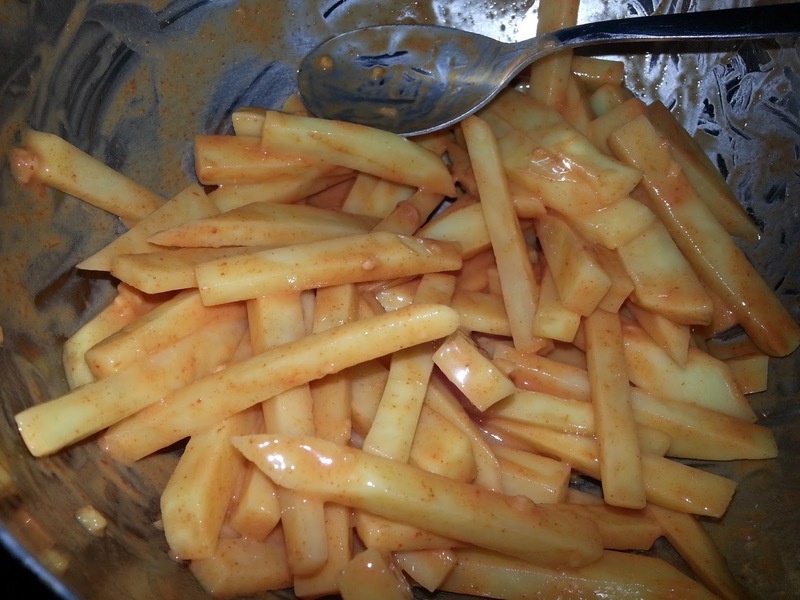 In a mixing bowl add the potato strips, salt, red chilli powder, 1 teaspoon tomato sauce, one portion of minced garlic and cornflour and mix well. 4. Heat oil for deep frying. 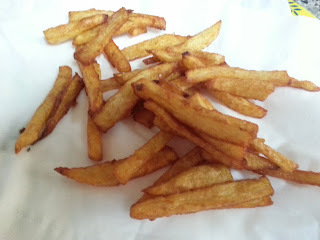 Drop the potato strips one by one without overcrowding and deep fry them till golden. Remove on paper towels. They taste so nice as is. 5. In a cooking vessel heat the 1/4 tablespoon oil. 6. Add the minced garlic and mix. Add tomato sauce, chilli sauce and vinegar and mix. 7. Add the fried potatoes and mix well for a minute. 8. Add honey and toss well. 9. 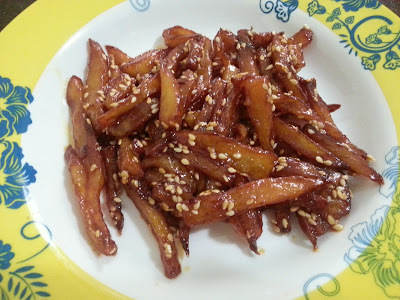 Turn off the heat and add toasted sesame seeds and mix well.